The recent combination of rain and cold has brought snow and clear blue skies, which provide a view of Mt. Baldy poking its head above the clouds. At 10,068 feet (3,069 meters), Mt. 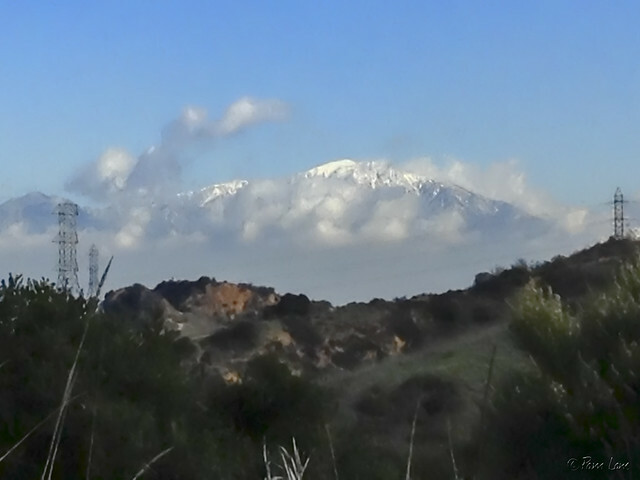 Baldy is the highest point in Los Angeles and the tallest peak in the San Gabriel Mountains. 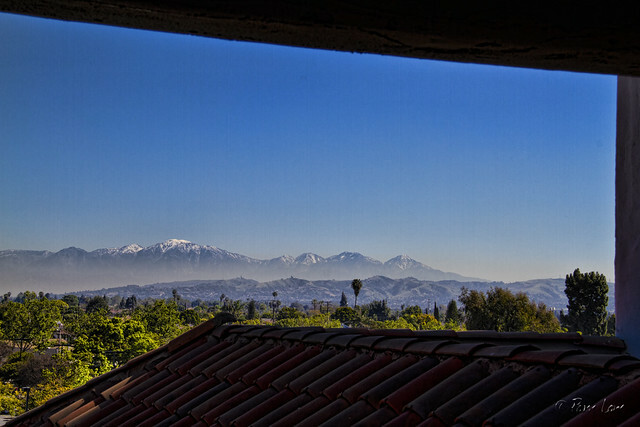 The main photo was taken from one of our favorite hikes in the local Whittier hills. To get some perspective on where we were, the picture to the right (taken last year from the top of the Embassy Suites hotel in Downey) shows Mt. Baldy in the far distance. The low-lying hills in the middle are the Whittier hills, where we were hiking. The hills are about 10 miles from Downey. Mt. Baldy is another 30 miles further.